If you decided to invest a large sum of money in the stock market, you’d probably do some research before selecting a financial adviser to manage the funds. Similarly, landlords managing valuable property should take care when choosing a tenant to live in and maintain this appreciable asset. While most renters will treat your property with respect, there is no shortage of tenant horror stories. Some landlords face ruined carpets or the occasional illegal sublet, while others are forced to deal with drug use and criminal activity. A comprehensive tenant-screening tool can be useful in identifying problematic tenants before they move in. Here, we discuss the basics of state and federal background searches, the value of spending money on tenant screening, and the legal ramifications of using, or misusing, the information gathered. As a landlord, you’re within your rights to request a criminal background check from a prospective tenant as long as the tenant has provided written consent. When preparing a consent form, be sure to request both state and federal inquiries, as it is important to gather information from both jurisdictions when examining an applicant’s history. Depending on the state, applicants may need to appear in person to request a background check, which they should then forward to you once it’s complete. For a federal background check, known as an FBI identity history summary check, the tenant may either submit the request directly to the FBI or through an FBI-approved “channeler.” When filling out the paperwork, the applicant must request that the results are sent directly to you, the landlord, for review. The results of a criminal background check are confidential and may only be shared with parties indicated on the original application. From a landlord’s perspective, the existence of a criminal background may indicate that the applicant would not make an ideal resident, particularly if the resident has a history of violent crimes, property damage or theft. Landlords are responsible for keeping residents safe from known dangers and risk. There are no laws requiring landlords to run state or federal background checks on applicants. If you run a criminal background check, discover negative information about a prospective tenant, and still decide to rent to that applicant, you actually increase your exposure to liability if a problem arises. For example, if a landlord discovers that a tenant previously assaulted someone or engaged in domestic violence, that landlord is then legally “cloaked” with that knowledge and could face a negligence lawsuit if the renter hurts another resident under similar circumstances. That doesn’t mean you should avoid background checks. A landlord could also face liability under the concept of “willful ignorance,” which puts responsibility on landlords who, in order to avoid accountability, say they were unaware of an applicant’s background. In other words, the old “I didn’t know!” excuse likely won’t work, especially if another resident is injured. For these reasons, fully investigating potential residents is a smart legal move to help protect your residents and property value. 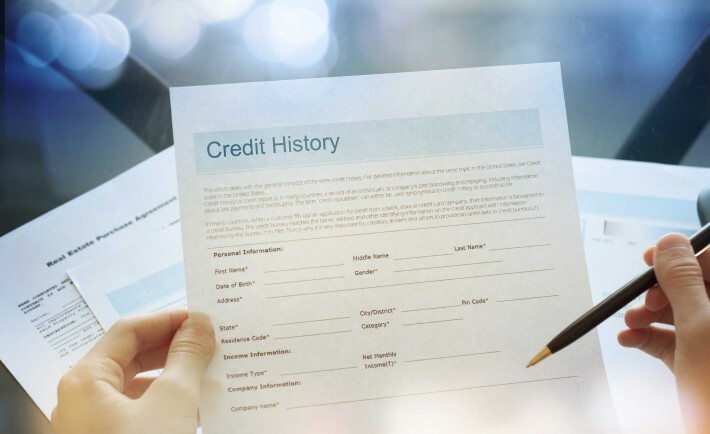 While criminal background checks are a great starting point, it’s always wise to investigate an applicant’s credit history — after all, you want to be sure a potential tenant will reliably pay the rent. Like a criminal background check, a landlord must obtain written consent from an applicant before delving into his financial history. There are three major credit-reporting bureaus in the U.S., and ordering a credit report from all three might be a good idea. When reviewing the information, watch for significant and recent late payments, judgment entries, liens, involuntarily closed accounts or excessive debt. The more considerable and recent the problem, the more likely your tenant is to pay rent late — or not at all. Beyond criminal and financial checks, it’s not a bad idea to ask applicants to provide several references, such as contact information for previous landlords or supers, who can vouch for their timeliness and cleanliness. Simply requesting contact information for these individuals serves as consent that you can get in touch with them. Remember that your questions about tenants should be limited to their reliability as renters. As you probably know, the Fair Housing Act prohibits landlords from engaging in any kind of discriminatory activity when making rental decisions. That means background checks and tenant screening measures must be applied evenhandedly to every applicant for a rental unit. Federal law prohibits landlords from discriminating based on national origin, so it’s illegal to request citizenship or residency papers from some applicants and not others. Notably, landlords may not discriminate against a tenant based on a prior history of drug or alcohol abuse as long as the applicant can provide proof of recovery or active enrollment in a treatment program. While landlords in most states need not give a reason for denying an applicant a rental unit, discrimination veiled as a general refusal will usually be found out and result in major liability.